Selective laser trabeculoplasty is used for treating open-angle glaucoma. Ophthalmologists opt for selective laser trabeculoplasty when eye drops fail to lower the intraocular pressure (IOP). The process is similar to Argon laser trabeculoplasty, but uses a larger and gentler laser beam. It targets the pigmented tissue cells within the eye’s drainage system. Why is it called ‘selective’? As the laser used in the procedure has minimal heat energy absorption since it targets only the selected pigmented tissue, it’s called ‘selective’. A Q-switched frequency doubled Nd YAG laser running at 532nm green with an output ranging from 0.3 to 1.5milijoules provides the light energy for the procedure. It is important to deliver the light within a microsecond based on the pigment’s granule size. Laser energy’s bursts prompt a natural healing response. As a result, the pores through which the fluid exits become larger. Greater outflow of fluid lowers the IOP. Surgeons first numb the eye with drops before applying 50-100 laser pulses to the eye with the help of a special mirrored lens. The treatment last only for few minutes, but the entire process may take 1-2 hours as doctors need to take preparatory measures to ensure that the patient’s eyes are safe. Normally only one eye is treated at a time. The process is not painful. However, in some cases patients feel mild burning sensation that can be tolerated easily. The post-operative results may vary from person to person. 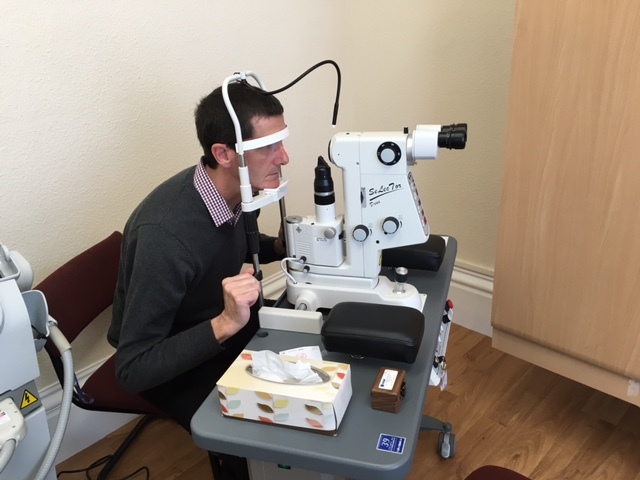 Follow-up appointments are needed to monitor for glaucoma.